The story of the Dawson Brothers, Trainers, starts a long way away from Nemarket - their father George started training for Lord Montgomery at Bogside, Ayrshire and for the Earl of Eglinton and other lowland owners in Scotland. 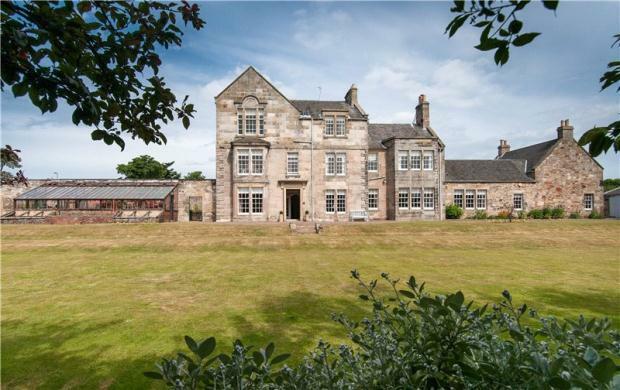 George & Jean had 17 children - four of their sons were brought up in George's training stable at Stamford Hall, Gullane, Haddingtonshire (now East Lothian) and went on to become famous racehorse trainers in their own right - Thomas, Mathew, Joseph and John - all but Thomas moved to Newmarket. Between them the brothers won 42 classics, including 9 Derby victories. Gullane is approximately 20 miles east of Edinburgh. Stamford Hall was named after the racehorse Stamford, trained by George. Stamford did well in his racing career, winning the Doncaster Gold Cup in two successive years; 1797 and 1798. 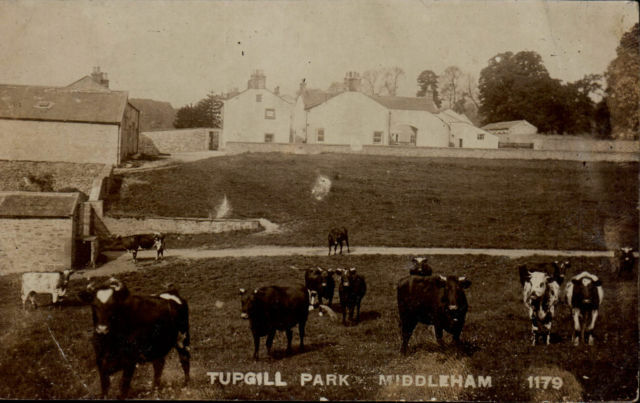 Thomas was the eldest son and left Gullane in 1830, settling at Brecongill stables, Middleham, in Yorkshire, where he trained for Lord Eglinton. In 1838 he was joined by brother Mathew as 'head lad,' and later Joseph and John also served apprenticeships at Middleham. Of the four trainer brothers Thomas was the only one who never set up stables in Newmaket, but his involvement and success in horse racing was none-the-less as strong as his siblings. Thomas married Grant Watt Sutherland (b. 1799) from Edinburgh on 13th December 1836 at Dirleton, East Lothian. They had three children. Thomas brought Brecongill stables at Middleham to prominence in the 1830s. In 1849 he moved to neighbouring Tupgill stables. He pioneered the training of horses without sweating them under heavy rugs to get rid of surplus flesh. His training method produced five Classic winners. One of the first of the big races that he won in the South was the Oaks of 1842 with his father's filly Our Nell; the same season be won the St. Leger with Lord Eglinton's Blue Bonnet. Neither horse had run previously and neither ran again. By 1861 ex jockey John Howe Osborne had taken over running Brecongill (he's the one on the left in the photo below). Alongside Thomas Dawson in the 1851 census was stable boy Thomas Aldcroft from Manchester - later-to-become-jockey who rode Admiral Harcourt's Ellington to win the 1856 Epsom Derby for Dawson. After the race Dawson nearly lost the £25,000 be won over the race by leaving it in an old bat-box on a luggage rack while changing trains at Northallerton on the way home. He advertised for the box as containing 'nothing of interest to anyone except the owner'; His luck held and it was returned to him intact. Thomas Aldcroft married Jane Cartwright on 21st December 1864 at Christ Church, Harrogate, daughter of Dawson's sister Helen (the family tree above shows how they all fit into the family). 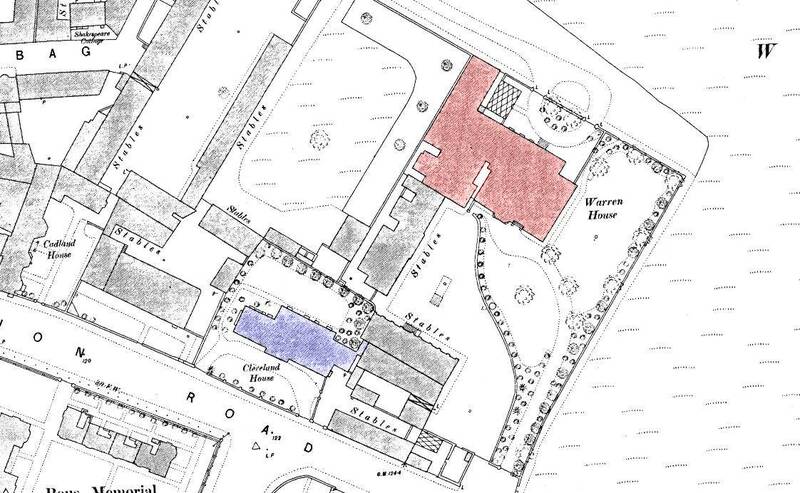 The couple moved to Newmarket and by 1871 were living in No.2 Morton Villa, Park Lane. 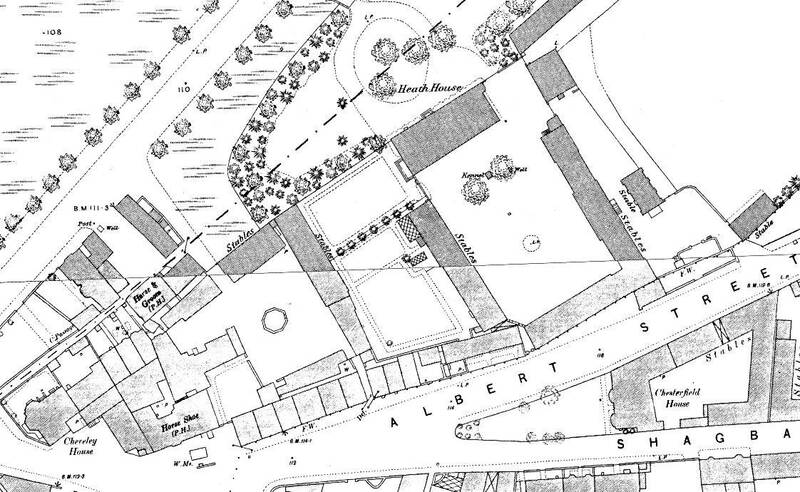 By 1881 they'd moved to Grafton House - No.144 High Street - the property later purchased by King Edward VII. Dawson also had success with Mr. J. Johnstone's colt Pretender, winning the 1869 Derby and 2,000 Guineas with John (Howe) Osborne in the saddle. Other important races won by Dawson included the Great Metropolitan with Stilton (1852), the City and Suburban with Hospitality (1856), the Cambridgeshire with Raby (844) and the Ebor with Godfrey (1844), Mark Tapley (1850) and Mandrake (1867). An affable man, much addicted to snuff, Thomas Dawson was known as 'King o't'Moor to the Yorkshiremen amongst whom he lived, while the Southerners looked upon him with less affection but much respect as 'Dangerous Dawson', Amongst his friends was the celebrated painter of horses John Frederick Herring, who was a frequent visitor to Tupgill. In later years Thomas Dawson moved to nearby Thorngill in Coverham and while convalescing after an operation on an internal injury at the age of 70, Dawson insisted on leaving his bed to see a trial on Middleham's High Moor in the middle of winter; delirium was followed by complications from which he never recovered, and he died on 18th February, 1880. Of his sons, Thomas Dawson junior, who was born at Brecongill in 1840, trained for a time and won the Chester Cup with Tim Whiffler in 1862. Subsequently he officiated as Clerk of the Course at Redcar, Thirsk, Lanark, Haydock Park and York before dying at the age of 46 in 1886. Born at Gullane, Haddingtonshire on 20th January 1820, he was the second son of George Dawson. Properly known as Mathew Dawson, frequently incorrectly named as Matthew. After a demanding apprenticeship under his father, in 1838 he became head lad to his eldest brother Thomas at Middleham, but returned to Scotland two years later to train on his own account. He married Mary Rose on 8th July 1844 at Kilwinning, North Ayrshire. It was largely owing to Mat's persuasion that the wealthy ironmaster, James Merry, known as 'the Glasgie body,' purchased Lord John Scott's stud at Russley Park, near Lambourn, Berkshire for six thousand guineas, where Dawson continued to train. 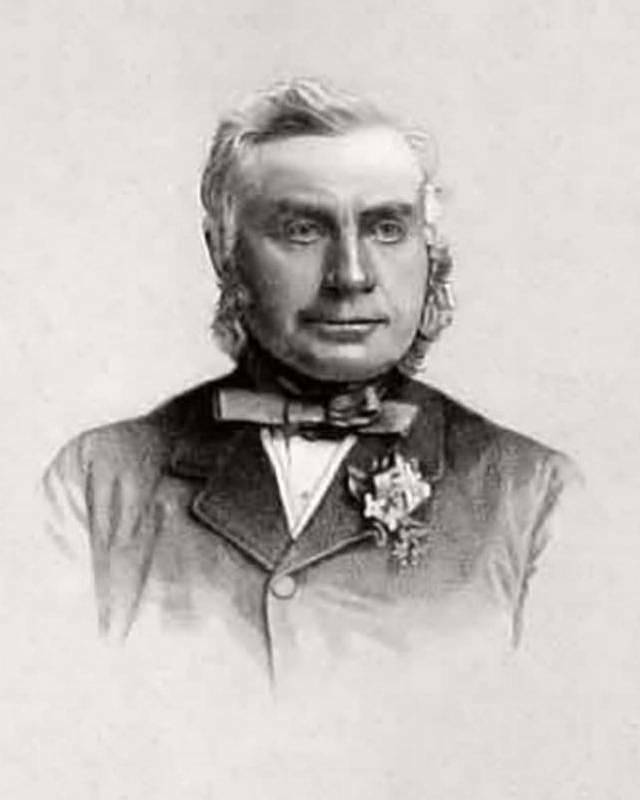 In 1866 he left Russley, following differences with Merry, and started as a public trainer at Newmarket, where he took Heath House, originally built for his brother Joseph by Lord Stamford. There he trained, for the Duke of Newcastle, Julius, the Cesarewitch winner of 1867 ; while, among others, the Dukes of Portland and St. Albans, the Marquis of Hastings, and Lord Lascelles entrusted their horses to him. In 1869 he undertook the charge of Lord Falmouth's stud, and after a few years of comparative failure became identified with that nobleman's triumphal career upon the turf. When Lord Falmouth left the turf in January 1884 Dawson joined with jockey 'Fred' Archer, who had been an apprentice in his stable and eventually married his niece. He presented his patron with a silver shield inscribed with the winners of two Derbies, three Oaks, three St. Legers, three One Thousand, and three Two Thousand Guineas all trained and ridden by the donors. Thenceforth he attached himself less exclusively to one owner. 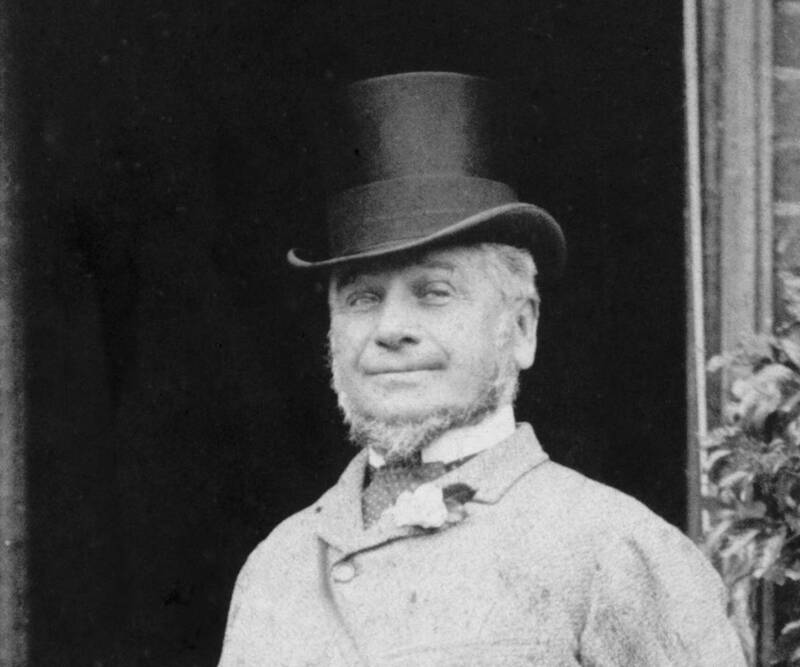 But he was always ready to exert himself with special zeal on behalf of Lord Rosebery (who had nearly won the Derby with a colt out of Dawson's stable in 1873), and in 1894 he had the satisfaction of training a Derby winner, Ladas, for his appreciative patron. Mat Dawson is shown living in Heath House, Bury Road / Albert Street on the both the 1871 & 1881 censuses. The entry in White's Directory of 1874 reads:- Dawson Matthew, horse trainer, Heath House, Bury Road. In 1884 Mat leased Stetchworth Heath Farm from Lord Ellesmere, which he slowly converted into being a stud farm - further details about that can be found on the page for the London Road. He later moved to live in Exning Manor (which previously in 1881 had been bought for the Devon-born jockey Henry (Harry) Luke; winner of the Two Thousand Guineas on John Dawson-trained Petrarch in 1876). 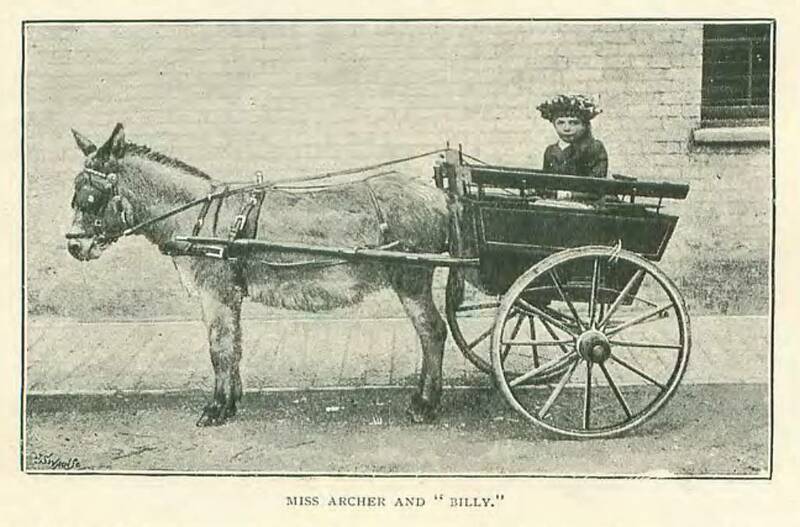 Mat's business partner and nephew-in-law; Fred Archer, won the 1885 Derby on the bay stallion Melton. Mat was the horse's trainer - so presumably it was him who renamed the house in honour of the horse. Later in 1893 he sold the lease of Heath Farm to Lord Marcus Beresford, and leased from the Jockey Club, The Marsh, which adjoined Melton House and converted this to being his stud. (he'd previously made over Heath House stables to his nephew, George Dawson - see below for more details about him). 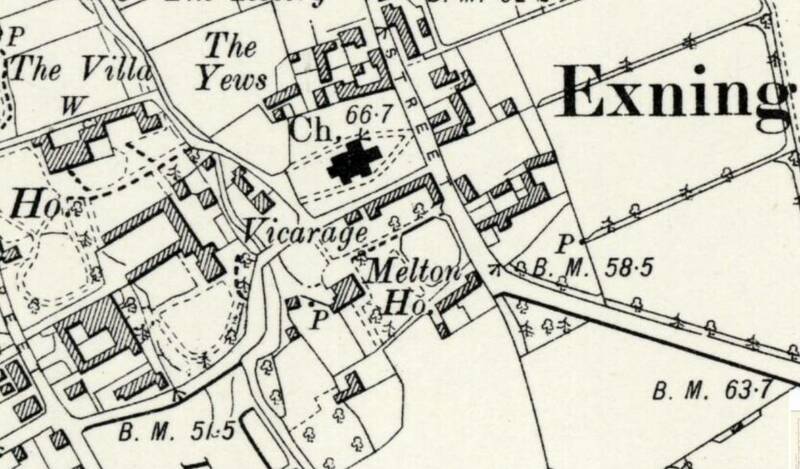 Melton House is now the site of St Martins Close in Exning. Mat retired in 1895 and returned to Newmarket two years later to live at Waterloo Lodge. Such was his reputation that in his declining years, when gout hampered his walking, he received special Jockey Club dispensation to take a carriage onto Newmarket Heath to supervise his horses. 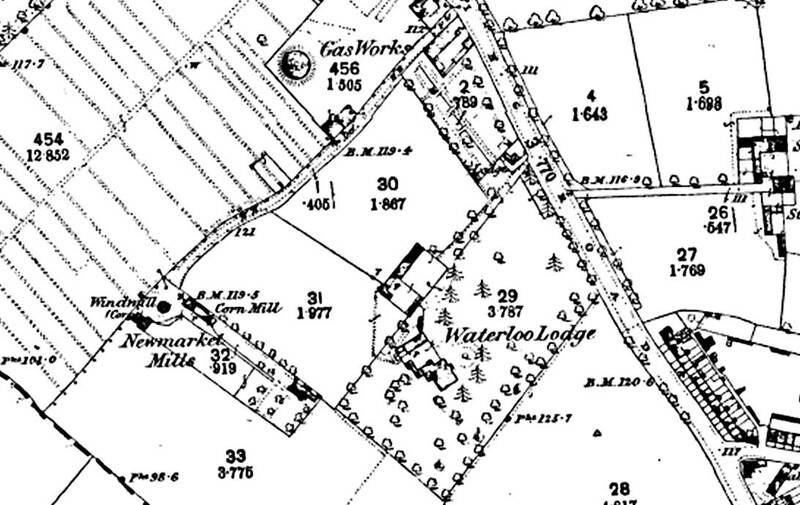 He died at Waterloo Lodge on 18th August 1898 (Waterloo Lodge, later known as Heath Lodge was the stud opposite Bakers Row in Exning Road - now Freshfields). 'Death of Mr Mathew Dawson. 'Funeral of Mr Mathew Dawson. First carriage - Mr John Dawson, Mr George Dawson, Mr John Dawson, jun., Masters Dawson (2). Second carriage - Mr J. Rose, Mr Sutherland (Edinburgh), Mr M. Wheeler (Wantage), Mr F. Bates (Tupgill). Third carriage - Mr W. Smith (London), Mr A.F. Briggs, Mr M. Wilkinson (Leeds), Mr F.W. Day. Fourth carriage - Earl of Rosebery, Mr Griffiths. Fifth carriage - Mr C. Winteringham (Melton Mowbray), Quartermaine East (Portsmouth), Mr J. Corlett. Sixth carriage - Mr Felix Leach, Mr W. Walters, Mr J.T. Day, Mr W. Gray (Lambourne). Seventh carriage - Mr Newman (London), Mr Ingram (London), Mr Percy Heaton (representing Lord Ellesmere). Amongst those present at the graveside we noticed Lord Falmouth, Hon. E. Boscawen, Dr. Fyson, Messrs. A Humphries (Ireland), C. Archer, E.H. Leach, J. Ryan, W.A. Jarvis, J. Stubbings, W.E. Fuller, E. Beales, R. Cooper, J. Doyle, T. Waugh, G. Simpson, Conyers-Bush, Challis (Rupert Street, London), J. Briggs, T. Loates, E. Potter, J.G. Cattrall, J. Castle, G. Platt, H. Morgan, A. Gibbons, T. Jennings, sen., T. Jennings, jun., Jockey Swift, C. Bridges, A. Giles, A.B. Sadler, A. Sadler, jun., Covey, W.D. Boyce, P. Peck, W. Gardner, T. Kirk, C. Stebbings, J.F. Hore, G. Ashby, F.J. Drackett, sen., C. Bosworth, J. Watson, C. Jennings, W. Drayton, T.O. Chaloner, G.H. Verrall, Joe Day, G. Blackwell, W. Waugh, O.E. Griffiths, A. Browning, C.W. Marriott, J.H. Aylmer, C. Eaton Hammond, F. Webb, R. Marsh, S. Westley, B. Chennell, F. Chennell, R.J. Lacey, R. Lacey, W.S. Martin, J. Musk, R. Stubbings, W.H. Simpson, W. Rogers, E. Simpson, F. Stubbs, J.W. Carr, F. Harrison, I. Cullin, A. Lane, F. Potts, Emil Adam, W. Livock, J. Rogers, R. Oak, J. Smith, C. Waugh, C. Wood, M. Gurry, J. Waugh, J. Pincus, W. Manning, W. Howlett, W. Pettitt, Catchpole, Foreman, Sargent, Rev. J. Imrie, &c.
Mathew Dawson, Died August 18th, 1898, Aged 78 years. Though "no flowers" had been announced wreaths were sent by Mrs Joseph Dawson, Mr and Miss Briggs and other relatives, Lord and Lady Falmouth, Lord and Lady Harewood, Lord Charles Beresford, the Duke of Portland, Mr J.T. Day and Mr W. Macfarlane. The funeral arrangements were very satisfactorily carried out by Messrs. H. Martin and A.C. Bly. Many thanks to the Newmarket Journal and to Geoffrey Woollard for these articles. Mat's name is remembered in Mat Dawson Close, Newmarket. Following his time at Middleham, Joseph started training at East Ilsley in Berkshire in 1853. From there he went to Newmarket to be a private trainer to the Earl of Stamford at Heath House. He won the 2,000 Guineas for the Earl with Diophantus in 1861 and the 1,000 Guineas with Lady Augusta in 1863, but he fell out with the Earl and was forced to sue him for money owed. As detailed above it was Mat who eventually took over Heath House. William Butler sold Bedford Lodge, Newmarket to Joseph for £6,500 in 1864 and he built the main range of stables adjoining the Lodge. Joseph was an innovative trainer, developing the training of two year old horses for racing, and introduced new feeding methods with great success at the stables. During the first half of the 19th century little care was taken of foals and yearlings, with the result that they were unnecessarily weak and backward when they went into racing. Realising that his two-year-olds would have a great advantage over those from other stables if their strength was developed from birth, Joseph Dawson was indifferent to what he spent on the diet of his foals and yearlings; they fed on the best of the oats that he had sent down from the Carse O'Gowrie in his native Scotland and drank the richest of Alderney milk. Consequently it was said that the foals in the paddocks behind his Bedford Lodge Stable at Newmarket looked like yearlings before Christmas. The policy of forcing the young stock paid rich dividends in important two-year-old races won. For instance, The Rake won the first running of the Middle Park Plate (Stakes) in 1866 and Dawson won it again with Frivolity (1869), Prince Charlie (1871) and Peter (1878). Prince Charlie was the most popular horse of his day, he who won the 2,000 Guineas as well as the Middle Park Stakes and 23 of his other 27 races. Prince Charlie always ran in the name of his trainer, although he was in fact the property of a Littleport farmer called Jones. Joseph followed in his brother Thomas' technique of not sweating the horses and became the first Newmarket trainer to introduce the idea here - when he first abandoned the practice he was the laughing-stock of Newmarket but the success enjoyed by his stable soon changed derision to imitation. Joseph, alone of the brothers, failed to saddle a Derby winner, but he did succeed in the Two Thousand, One Thousand, and the St. Leger. 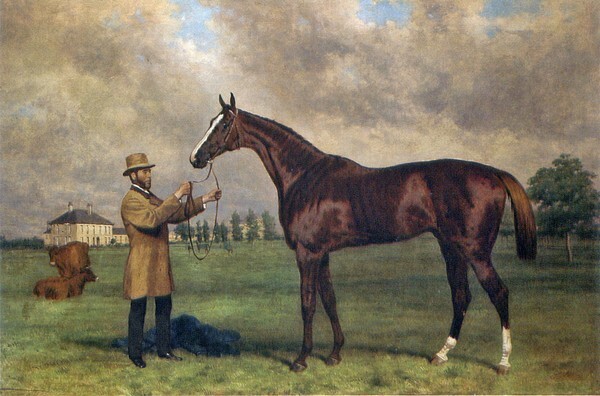 During the last few years of his life he was a chronic invalid, suffering from diabetes that was to prove fatal, and Bedford Lodge stables was run by his wife Harriet, whose uncle John Fobert had trained The Flying Dutchman to win the Derby in 1849, together with his head lad Richard Sherrard. When he died on 23rd July 1880 the Lodge and Stables were bought by the racehorse manager Captain James Octavius Machell. From 'Three Villages' (published 1904) by John George Witt, K.C. 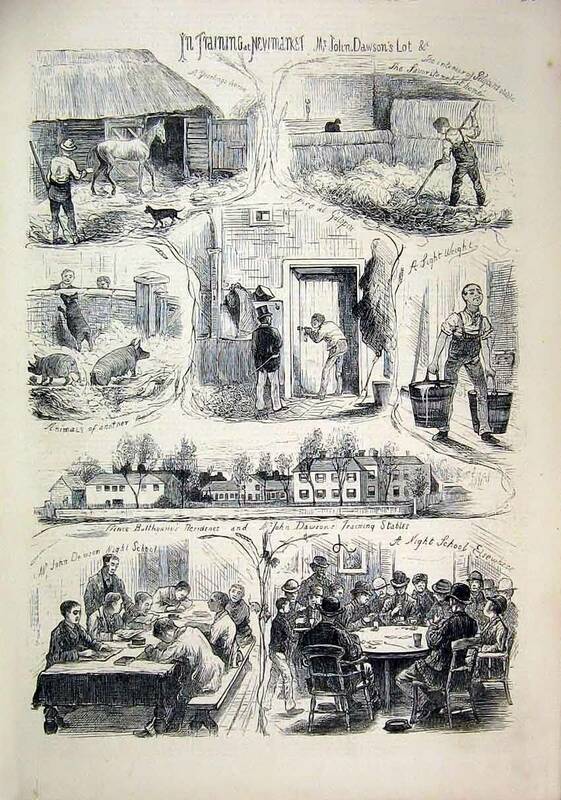 "The extraordinary prosperity of the town [of Newmarket] dates from the arrival of Mr Joseph Dawson, who with his famous brothers taught the modern system of training. In my recollection Newmarket horses came to the post looking like towel-horses, skeletons on shaky legs. We had a story which was told by a noble lord of his Newmarket trainer. 'I went to Newmarket, and saw that my horses were lame in one leg, and the trainer said they were not fit to try. I went a month afterwards, and they were lame on two legs, and he said they were nearly fit. I went after another month, and they were lame on three legs, and the trainer said: "Now, my lord, they are all just fit to try."' In the year 1867 I went to the Derby with Mr Wiliam Bruty and Mr W.S. Martin. The latter passed away only about two years ago. He rode Plenipotentiary from Newmarket to Doncaster in 1834, and, of course, we always pretended that he was the sinner who 'got at' the horse, and prevented him winning the St. Leger. Martin as a lad had started from our village for Horseheath to take service under Mr Batson about the year 1830. So as he in a certain sense was one of us, we did not scruple to hurl this dreadful accusation at him, and he always took the joke in good part. On the journey to Epsom, I naturally asked Mr Bruty, who had trained in Bombay as well as at Newmarket, what horse would, in his opinion, win the race. He replied: 'I do not know what will win, but I do know what will not win, and that is that brute Hermit. If he wins there is no sense or meaning in training, and I will never train a horse again as long as I live.' Racing men are fond of making rash vows - such as that they will eat their hats, or sell their shirts, or be choked by a piece of pudding - if there anticipations are not realized; but, as I had never seen one of these vows fulfilled, I did not pay much heed to Mr Bruty's threat. When Hermit passed the post an easy winner, Mr Bruty lapsed into absolute silence. He went home, sold his horses, saddlery and clothing, discharged his boys, got rid of the lease of his house and stables, shook the dust off his feet against Newmarket Heath and town, and went to Cambridge, where he bought a brewery. I must not, however, be tempted to tell turf anecdotes. Some of the best known to me I gave to my friend and pupil Mr Rice, for his 'History of the Turf,' a book hardly worthy of one of the talented authors of 'Ready-money Mortiboy' and the 'Chaplain of the Fleet.'" Many thanks to Geoffrey Woollard for this article. Born at Gullane, Haddingtonshire, on 16th December 1827 - he was the younger of the four trainer brothers. John married Grant Peddie on 30th December 1855 in Edinburgh. In 1857 he left his eldest brother's stable at Middleham and took Roden House Stables, at Compton, Berkshire, a village which adjoins Ilsley. At Compton he trained Bel Esperanza, the first of four winners of the Lincolnshire Handicap. In 1861 he moved to Warren House, Upper Station Road (now Old Station Road), Newmarket, where he lived for the remainder of his life - he's shown living there on the 1871, 1881, 1891 and 1901 censuses. 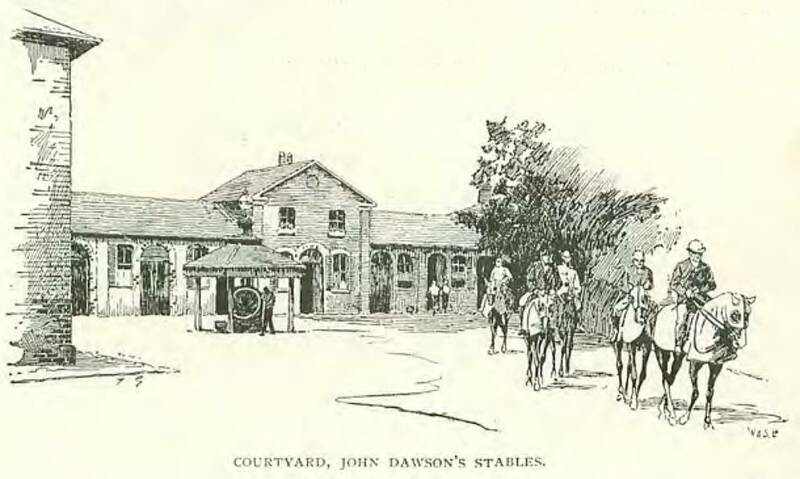 The entry in White's Directory of 1874 reads:- Dawson John, horse trainer, Warren House, Upper Station Road. Warren House had been built as a result of a serious case of jealous in-law one-upmanship, between the wives of horseracing brothers William (Bill) and Sam Chifney - sons of the infamous King George IV's champion jockey; Sam Chifney. He was the jockey involved in what has become known as the 'Escape Affair', details about which can be found on the page for the Nunnery in Park Lane. Young Sam Chifney lived in the adjacent Cleveland House, built for him in around 1820 by Lord Darlington, the first Duke of Cleveland. As a result of this sibling rivalry William had his previous house demolished and a new Warren House built from scratch, but it nearly bankrupted him and he was forced to sell it to John Francis Clark of Fairstead House, Newmarket (the ex-racing judge and architect), who then subsequently re-sold it to Prince Batthyany. John Dawson was appointed private trainer to Prince Batthyany and General Peel, and in 1863 Lord Vivian became a patron of the stable. In later years horses belonging to Mr. R. C. Naylor and Sir Robert JarcLine were also trained at Warren House. The Lincolnshire Handicap was won for Prince Batthyany by Suburban in 1862, and by Vandervelde in 1867 ; and for Sir Robert Jardine by Wise Man in 1889. For Mr. Naylor, Dawson won the Cesarewitch with Jester in 1878. In 1875 he won the Derby with Galopin. Dawson had four other successes in classic events. He trained Petrarch to win the Two Thousand Guineas and the St. Leger in 1876 for Lord Dupplin ; Elizabeth the One Thousand Guineas in 1880 for Mr. T. E. Walker. Other patrons included General Owen Williams, Mr. E. Loder, Mr. Renfrew, and Mr. C. Alexander. Dawson's triumphant career was checked by the sudden death, in 1883, of Prince Batthyany. One of the two-year-olds belonging at that time to the prince was St. Simon, who won all the races for which he started, and afterwards had a most distinguished career at the stud. Immediately after Prince Batthyany's death, St. Simon was sold to the duke of Portland, and went into his brother Mat's stable. Perdita II, who, when mated with St. Simon, produced Florizel II, Persimmon, and Diamond Jubilee, bearers of Edward VII' s colours, was for a time trained at Warren House. During the last ten years of the century Warren House was a private stable again with Mr Wallace Johnstone the owner of the 25-odd horses that Dawson trained there each season; most notable of the races that he won for Johnstone was the 2,000 Guineas with Disraeli in 1898. On his retirement two years later, John handed the stable over to his son George (see below for more details about him). John Dawson died on 13th May 1903, and was interred in Newmarket cemetery. 'Death Of Mr John Dawson. We announce, with deep regret, the death of Mr John Dawson, which took place at his residence, Warren House, Newmarket, on Wednesday. For some time he had not been in good health, and for several weeks he was confined to his room by a serious illness. On Tuesday night a change for the worse occurred. A state of coma supervened, and he passed away at about twenty minutes past six on Wednesday morning, never having recovered consciousness. John Dawson was the youngest of the four celebrated brothers who have figured so largely in the annals of the turf, and was born on December 16th, 1827, at Gullane, East Lothian. He commenced his career in the stables of his brother Thomas at Brecongill, Middleham, and assisted in the training of many of the famous thoroughbreds with which Thomas Dawson gained such a notable series of successes. 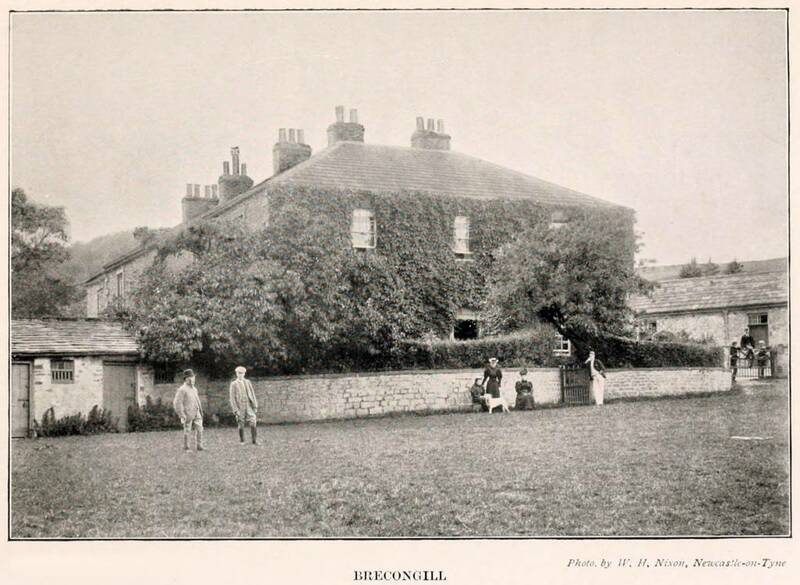 After remaining at Brecongill about nine years, the deceased gentleman became private trainer to Lord Glasgow, and after remaining with that eccentric nobleman for a brief period started as a public trainer at Compton about 1856, removing from there to the neighbouring village of Ilsley when his brother Joseph went to Newmarket. Among his employers in Berkshire were Mr J. La Mert, Mr James Smith and Mr John Whittaker. For the first named he won the Lincoln Handicap in 1859 with Bel Esperanza, and for Mr Whittaker the Northumberland Plate in 1860 with First Lord. In 1861 Mr Dawson took up his residence at Warren House, Newmarket, as private trainer to Prince Batthyany. The connection then begun extended over twenty-two years, coming to a tragical ending on the afternoon when Galliard won the Two Thousand. Scarcely had the horse passed the post, the winner of a very close race, when the Prince staggered and fell. He was carried to one of the rooms set apart for members of the Jockey Club, where life was found to be extinct. Galopin was the best horse ever own by Prince Batthyany or trained by John Dawson; but had the Prince's life been spared the great St. Simon would have carried his colours. At the sale which followed his death, St. Simon was purchased by the Duke of Portland for 1600 guineas, and went into Mathew Dawson's stable, while Mr Chaplin gave 8000 guineas for Galopin. In 1875 Galopin was victorious in the Derby, and he also won the Fern Hill Stakes, the Newmarket Derby, and matches against Stray Shot and Lowlander, the latter, which took place at Newmarket, arousing an enormous amount of interest. At stud Galopin earned even greater fame than on the racecourse, and his stock have won, between 1875 and 1902, a total in stakes of £271,938. He died during the Derby week of 1899. 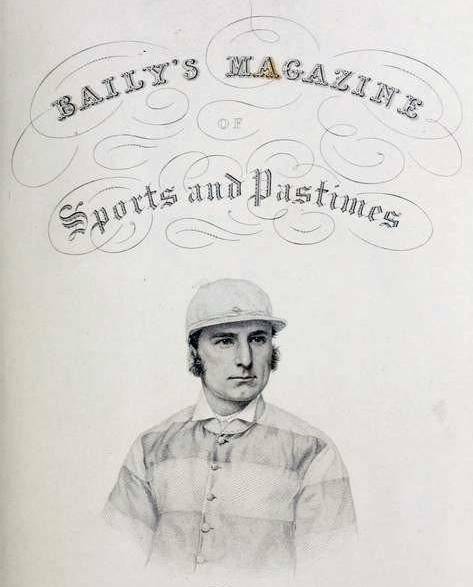 In addition to his victory with Bel Esperanza, Mr Dawson won the Lincolnshire Handicap with Suburban (1862), Vandervelde (1867), and Sir R. Jardine's Wise Man in 1889. The two first named were owned by Prince Batthyany. In the "seventies" when Typhoeus won the Stewards Cup, the Warren House Stables were no longer exclusively tenanted by Prince Batthyany's horses, and Petrarch won the Two Thousand as the property of Lord Dupplin. He failed badly in the Derby, but came to the front again in the St. Leger, and was soon afterwards acquired by Lord Lonsdale. 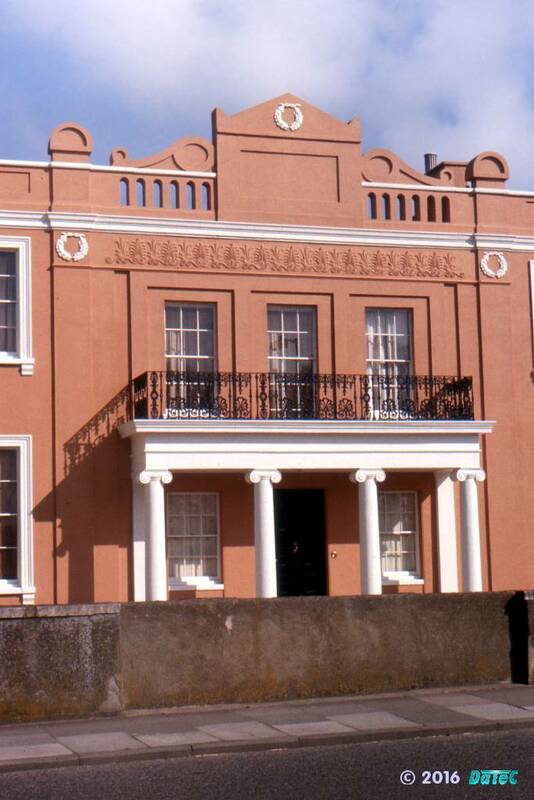 Among the owners associated with Warren House about this period were Lord Vivian, Mr R.C. Naylor, Sir James Mackenzie, Mr C. Alexander, General Owen Williams, Mr T.E. Walker and Mr Renfrew. Mr Naylor secured the Cesarewitch with Jester, and Mr Walker the One Thousand with Elizabeth. Mr Dawson's principal patrons, in later years, were Sir Robert Jardine, Mr Benholm, and Mr Wallace Johnstone. Mr Benholm's Braw Lass was second in the Middle Park Plate, and his Perdita II. was the corner-stone of the Sandringham stud, Persimmon, Florizel II. and Diamond Jubilee being among her offspring. Mr Wallace Johnstone's Disraeli won the Two Thousand, and his Best Man carried off seventeen races, apart from the Prix du Conseil Municipal. Since 1850 the Dawson family have carried off the Two Thousand Guineas twelve times, the One Thousand Guineas ten times, the Derby eleven times, the Oaks eight times, and the St. Leger ten times, while during the same period they trained four winners of the Ascot Gold Cup. At the December sales of 1900 Mr Wallace Johnstone disposed of his horses then in training, and Mr Dawson, whose health had for some little time been the reverse of robust, then severed his active connection with the profession which he had so successfully practised for more than half a century. Up to the last, however, his love of racing was as keen as ever. The deceased gentleman is survived by Mrs Dawson, two sons, and one daughter. Mr J.A. Dawson has a large stable at St. Albans, Newmarket, and has had a very successful career. Mr G.P.T. Dawson, for about a decade, followed his uncle Mathew at Heath House, where he trained two Derby winners in Ayrshire and Donovan, and three winners of the Oaks in Memoir, Mrs Butterwick and Amiable for the Duke of Portland. A daughter of the deceased was married to the famous jockey, Fred Archer, and predeceased her husband, leaving a daughter who, since her father's death, has lived at Warren House with her grandparents. An able, painstaking and conscientious trainer, and an upright, honourable and unassuming man, the late Mr Dawson made many friends during his long connection with the Turf, and was greatly respected and highly esteemed by all who were brought in contact with him. In their bereavement his widow and family will have the heartfelt sympathy of all who knew him. 'Funeral Of Mr John Dawson. Amid general demonstrations of respect the funeral took place, at Newmarket, on Saturday afternoon, of the late Mr John Dawson. The cortege left Warren House, shortly after two o'clock, and along the route to the Cemetery blinds were drawn at almost every private residence and place of business. A carriage filled with beautiful floral tributes preceded the hearse, which was covered with wreaths and other floral devices. The principal mourners were as follow: - 1st carriage, Mr J.A. Dawson and Mr G.P.T. Dawson (sons), and Masters Jack and Jamie Dawson (grandsons); 2nd carriage, Mr F.W. Day, Mr A.F. Briggs, Mr M. Wheeler and Mr J.D. Cartwright; 3rd carriage, Mr H. Newman, Mr M. Falconer, Mr John Barrow and Mr Nigel Holmes; 4th carriage, Captain Fry, Mr Edwin Foster and Mr Harper; Mr Walter Blake of London was also among the mourners. Other carriages contained Messrs. W. Hutchinson, J.H. Maund and Noyes, the deceased gentleman's medical attendants, and Mr J.H. Aylmer, his solicitor; and also some old servants - Mr Whippe, Mr Crick, Mr Stimpson, Tom and Jim. The late Mr Dawson's carriage and Mr J.A. Dawson's brougham both empty, followed the carriages containing the mourners. There was a large assemblage at the Cemetery. Among those who attended were Messrs. R.J. Marsh, James Ryan, M. Gurry, C.W. Golding, T. Leader, James Waugh, W. Waugh, W.B. Sheppard, George Barrow, George Simpson, G. Swift (an old jockey), S. Turner, C.B. Bosworth, S. Westley, F.A. Barrow, C. Edward Hammond, J.P., G.D. Giles, T.E. Simpson, Isaac Cullin, D. Gilbert, A.A. Waugh (Childwick Hall), Dawson Waugh, Hugo Waugh, James Waugh, junr., F. Craven, H. Boyce, C. Jennings, J. Gardner, H. Bullman, A. Lane, E. Potter, T.F. Clark, H. Bradly, A. Bartholomew, C. Jarrold, J.T. Day, A.M. Ellis, W.W. Cooze, J. Price, O.E. Griffiths, E.A. Jarvis, E.H. Leach, J. Stubbings, J. Olley, W. Heckford, W. Patchett, and others. The service in the cemetery chapel and at the graveside was read by the Ven. Archdeacon T.R. Curwen Campbell, Vicar of All Saints'. The lower portion of the grave was lined with bricks. The coffin was of polished oak, with brass fittings, and the breastplate bore the following inscription: "John Dawson, born 16th December, 1828, died 13th May, 1903." - Mr H.M. Martin, of High Street, and Messrs. Bly Bros. were the undertakers. The floral tributes were very numerous and exceedingly beautiful. A wreath of blue flowers, across the centre of which lay a broad black band and bearing the motto, "farewell," was sent by Mrs Grant Bates, a relative. A beautiful wreath of lilies was sent by the widow. A lovely cross of pink and white roses bore the name of Miss Archer, grand-daughter of the deceased and daughter of the late Fred. Archer, the famous jockey. A large floral crown, one of the most striking of the tributes, came from Masters Jack and Jamie Dawson, sons of Mr J.A. Dawson. Appended is a list of the inscriptions attached to the wreaths, &c.: - To my darling husband; In loving memory, from Jack and Grace; George and Rose, in loving memory; In loving memory of dear grandpa, from Nen (Miss Archer); In ever loving memory, Annie B. Dawson; In loving memory of my beloved brother John, from his sister Fanny Handley; In loving memory of my darling brother John, from his affectionate sister, Lucy Kendall; To dear uncle, in loving remembrance, from Lucy Boyce Barrow; In loving memory of dear grandpa, from Gracie and Jeanie; In loving memory of dear grandpa, from Jack and Jamie (St. Albans); In loving memory of dear uncle, from Fred and Janie Day; A token of lasting love, in fondest memory of my dear uncle, from Fannie (Mrs H. Grant Bates), with tender and loving sympathy; With deepest regret and loving sympathy, from Lill (Mrs W. Musgrave Wilkinson, Breconside, Newton Hill, Leeds); With deepest sympathy, from Florrie and Frank; In loving memory of our dear uncle, from his affectionate nieces, Jean, Lucy and Alice; In loving memory, from J.D. Cartwright; With love from Mary (Miss Mary Falconer, Beechcroft, Fairfield Road, Croydon); With sincere regret and deepest sympathy, from Lizzie Dawson; With Mary and Edith Bates' loving regard and sincere sympathy; With sincere sympathy and deep regret from Mary and Alfred; With love and deep sympathy, Mr and Mrs Harry J. Newman, 61 Queensborough Terrace, Hyde Park, W.; With Mr and Mrs J.B. Sutherland's deepest sympathy (10, Royal Terrace, Edinburgh); With deepest sympathy and regret, from Mr and Mrs Stimpson and Mr and Mrs Whippe; With deepest regret and sympathy, Arthur F. Briggs; With sincere sympathy, from Wallace M. Johnstone; From Sir Richard and Lady Waldie Griffith (Hendersyde Park); With deepest sympathy, from the coachman and indoor servants, St. Albans House; With deepest sympathy, from the servants; In affectionate remembrance, from Mr John Barrow (50, Bedford Square); With deepest regret and sympathy, from Mr and Mrs R. Marsh (Egerton House); With deep sympathy, from some of the employees at St. Albans House; With Mr and Mrs A.S. Manning's sincere sympathy; With Mr and Mrs Wm. C. Manning's deepest regret; With much sympathy, from Nigel Holmes; With deepest sympathy, from Mr and Mrs E.H. Leach; With deepest sympathy and regret, from Mr H.W. Gilbey (28 Seymour Street, Portman Square, W.); With sincere sympathy, from J.W. Burge; With Mr Walter Blake's extreme sympathy (5, Berkeley Square, W.); With much sympathy and sincere regret, from Sam Darling; With sincere sympathy, from Mr and Mrs C. Waugh; With sincere sympathy, from Mr and Mrs Thos. Jennings (Phantom House, Newmarket); With deepest sympathy, from Mr and Mrs Graham; With sincere sympathy, from Mr and Mrs Chas. Wood; To dear Mr Dawson, with love and respect, from John Edward Langley; With much sympathy, from Mr and Mrs Dawson Waugh; With deep sympathy, from an old apprentice; With deep sympathy, from Argo Gold (Rawdon House, Holyport); With T. Loates' sincere sympathy; With Mrs Jennings' most sincere sympathy (Bassett House, Newmarket); With kind remembrances, from F. Allsopp; With sincere sympathy, from Mr Herbert E. Harper (48, Redcliffe Square, South Kensington); With sincere regret, from Mr and Mrs R. Waugh (Graditz, Germany); From the Hon. Thomas Egerton; With Mr and Mrs Ryan's deepest sympathy and regret (Woodland); In affectionate remembrance, from Mr Edwin Foster (10, St. John's Wood Park, N.W. ); With Mr and Mrs A.A. Waugh's sincere sympathy (Childwick Hall, St. Albans); With deepest sympathy, from James Waugh; With deepest sympathy, from the proprietors of the "Sportsman"; With deep regret, from E.J. Walford (119, Inverness Terrace, W.). 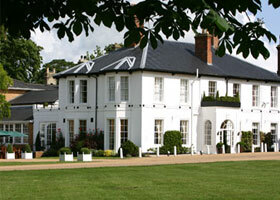 John Dawson was described as having been 'of Warren House, Newmarket' when his grand-daughter, Nellie Rose Archer (q.v. ), married Max Alexander Tosetti (q.v.) in May 1911. 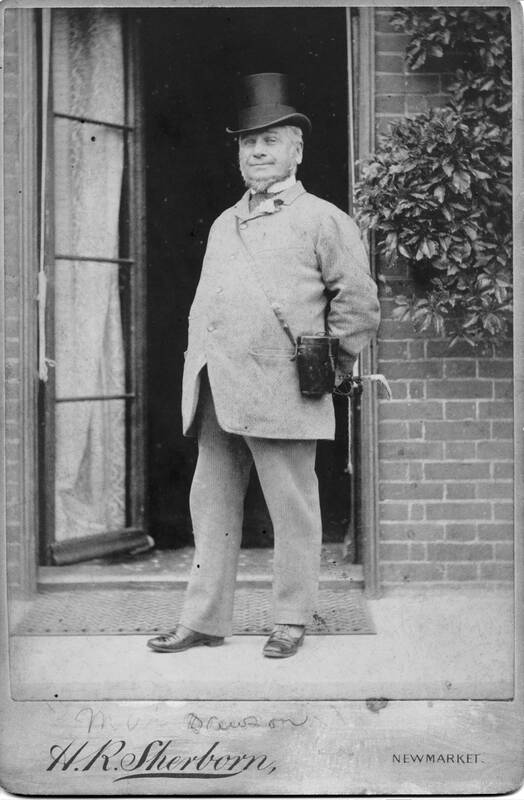 John's other son, John Alfred Dawson also gained a succesful reputation as a trainer. 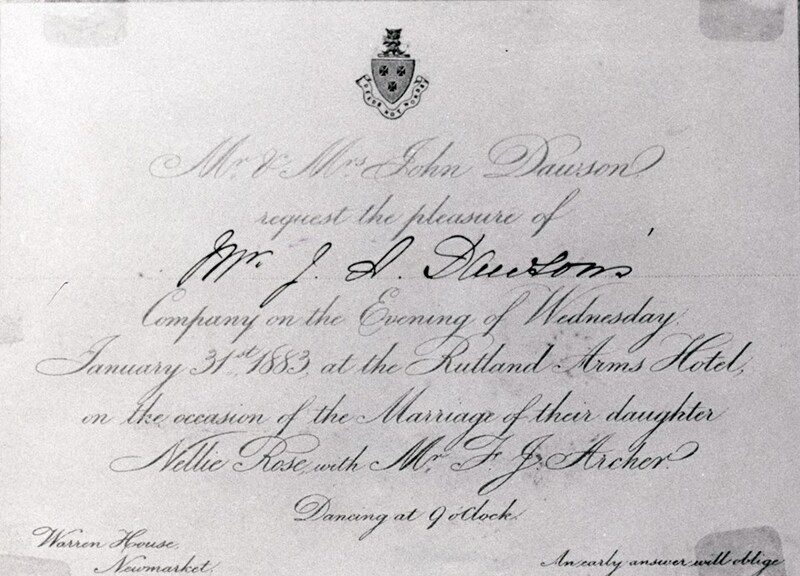 John's daughter, Helen (Nellie) Rose Dawson married the famous jockey Fred Archer on 31st January 1883 - unfortunately both of them had very sad endings. Helen (Nellie) Archer died due to complications soon after the birth of their daughter Nellie Rose on 7th November 1884, this clearly took its toll on Fred who never recovered from this and he took his own life soon after on 8th November 1886. Fred Archer Way in Newmarket is named in honour of him. 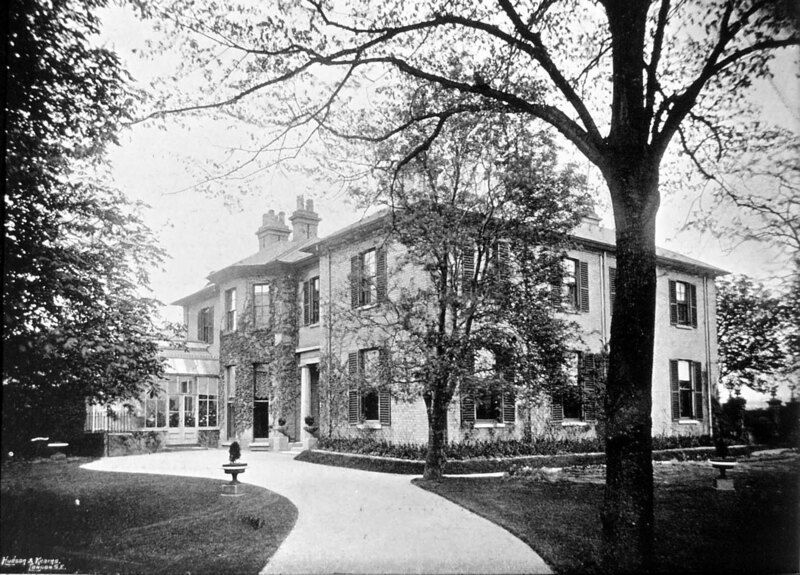 After their deaths, Fred and Nellie's daughter Nellie Rose Archer was looked after by John's daughter Annie Bland Dawson and is shown living with her and her grandparents in Warren House on the 1891 and 1901 censuses. with the addition of the conservatory on the left - the back of the stables would have been out of shot further on the left. George Frederick (Fred) Leader was the last trainer in Warren House, being listed there in the 1926 Newmarket Street Directory (telephone number Nkt.24). George later transferred to Primrose Cottage Stables - No.38-40 High Street - the house was demolished shortly afterwards in around 1937). John's son George was also a very successful trainer in Newmarket in his own right. George took over Heath House Stables from his uncle Mat in 1885, with great success ... this winning streak unfortunately ended when the lease expired in 1898 and the major owner he trained for; the Duke of Portland, moved his horses to the stables of John Porter at Kingsclere. After his father's death in 1900 George moved into Warren House Stables, but was unable to re-kindle his earlier successes. He died there on 14th June 1913. 2. I direct my trustees to pay my just debts and testamentary expenses out of my personal estate and also to pay my said wife a legacy of five hundred pounds as soon as conveniently may be after my decease for her personal use I also direct my trustees to pay all estate settlement estate and death duties out of such part of my estate or the proceeds of sale thereof as they may think expedient. 3. I give to my said wife my leasehold dwellinghouse Number 28 Lensfield Road in Cambridge aforesaid also all the furniture silver plate linen china books pictures chattels and articles of domestic use or ornament in the said dwellinghouse or in any dwellinghouse which shall be my residence at the time of my decease and also any of the furniture or articles of domestic use belonging to me at Warren Mansion which she may desire to have. 4. I devise my freehold dwellinghouses known as Warren Mansion and Warren House (subject as to the latter to the life interest of my mother therein) to my trustees Upon trust in their discretion to sell the same either by public auction or private contract with power to postpone such sale for any period and in the meantime to let on lease or otherwise and to repair and keep in repair and insured against loss or damage by fire the same and after sale thereof to invest the net proceeds of sale upon securities proper for investment by trustees and Upon further trust to pay the rents or dividends and income in the following proportions namely to my said wife two thirds and to my sister the said Annie Bland Dawson one third during their joint lives and upon the death of either of them to pay such rents or dividends and income to the survivor for her life and from and after the decease of the survivor to pay the same to my brother the said John Alfred Dawson for his life and after his decease to divide the capital moneys comprising the investments or net proceeds of sale unto and equally between all the children of my said brother John Alfred Dawson share and share alike and in the event of the death of any of the said children leaving issue such issue shall take (per stirpes) his or her parents share. 5. 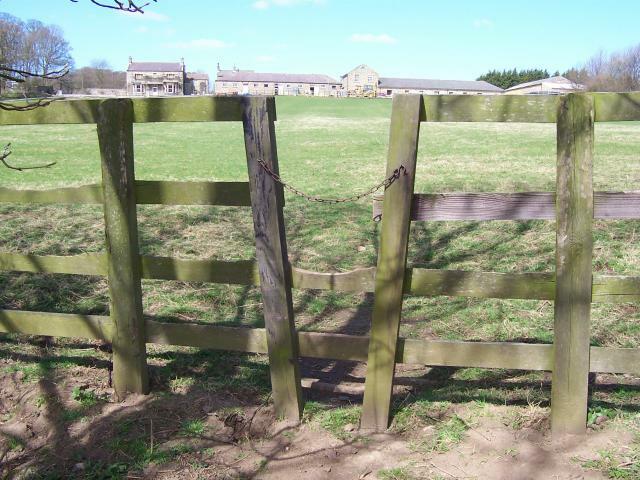 I devise my freehold stud farm at Cheveley in the County of Cambridge known as the "Lensfield Stud" to my said wife in fee simple for her own use absolutely. 6. I devise my plot of freehold building land adjoining the Bury Road in Newmarket to my trustees in fee simple Upon trust to sell the same either by public auction or private treaty and subject to such conditions of sale and generally in such manner as my trustees may think proper and to stand possessed of the net proceeds of sale Upon trust to pay the same to my wife for her sole and separate use. 7. I give to my brother in law Herbert Albert Saunders if he shall survive my said wife an annuity of one hundred pounds a year for and during the term of his natural life payable quarterly the first payment to be made three calendar months after the death of my said wife. 8. I give devise and bequeath all other my real and personal estate moneys and securities for money whatsoever and wheresoever (including my share estate or interest to which I am entitled under my late fathers will) to my trustees Upon trust after payment of my debts and testamentary expenses estate settlement estate and other duties and the legacy aforesaid for my said wife for her own use absolutely. 9. The statutory power of appointing new trustees shall be vested in my said wife during her life and afterwards in the survivors and survivor of my trustees but so that upon every new appointment there shall still be two trustees to act in the execution of this my will. 10. I appoint my trustees for all the purpose of the Settled Land Acts any acts extending or amending the same And I declare that no trustee of this my will shall be liable for any loss not attributable to his or her own dishonesty or to the wilful commission by him or her of any act known by him or her to be a breach of trust and in particular he or she shall not be bound to take any proceedings against a co trustee for any breach or alleged breach of trust committed by such co trustee. 11. Lastly I revoke all wills by me at any time heretofore made and declare this to be my last will In Witness whereof I have hereunto set my hand this seventeenth day of January One thousand nine hundred and twelve - Geo. P.T. Dawson - Signed by the said George Peddie Thomas Dawson as and for his last will in the presence of us both present at the same time who in his presence at his request and in the presence of each other have hereunto subscribed our names as witnesses - Jno. H. Aylmer Solicitor Newmarket - Clarence G. Roe his Clerk. 1. Referring to clause 4 of the foregoing will it is my intention to alter the same in manner following that is to say That on the death of either of them my said wife and sister and also on the death of the survivor the income of the person or persons so dying derived under the said clause is to go to my brother John Alfred Dawson for and during the term of his natural life and after his decease as therein stated. 2. In all other respects I confirm my said will. In Witness Whereof I have hereunto set my hand the day and year first above written - Geo. P.T. Dawson - Signed by the said George Peddie Thomas Dawson as and for a first codicil to his last will in the presence of us both present at the same time who in his presence at his request and in the presence of each other have hereunto subscribed our names as witnesses - Jno. H. Aylmer Solr Newmarket - Clarence G Roe his Clerk. On the 29th day of November 1913 Probate of this Will and Codicil was granted to Rose Elizabeth Dawson, John Alfred Dawson and Annie Bland Dawson the Executors. Death On Or After 1st January, 1898. Dated the 29th day of November 1913. Gross value of Estate ... £24893 - 10 - 9. Net value of Personal Estate £9019 - 0 - 8. Many thanks to the Geoffrey Woollard for this will. Baily's Magazine of Sports and Pastimes said of the Dawson brothers collectively, ‘their manners are courteous, their stable management has passed into a proverb, and their judgement of a yearling is held in as high repute as their irreproachable taste for whisky’.